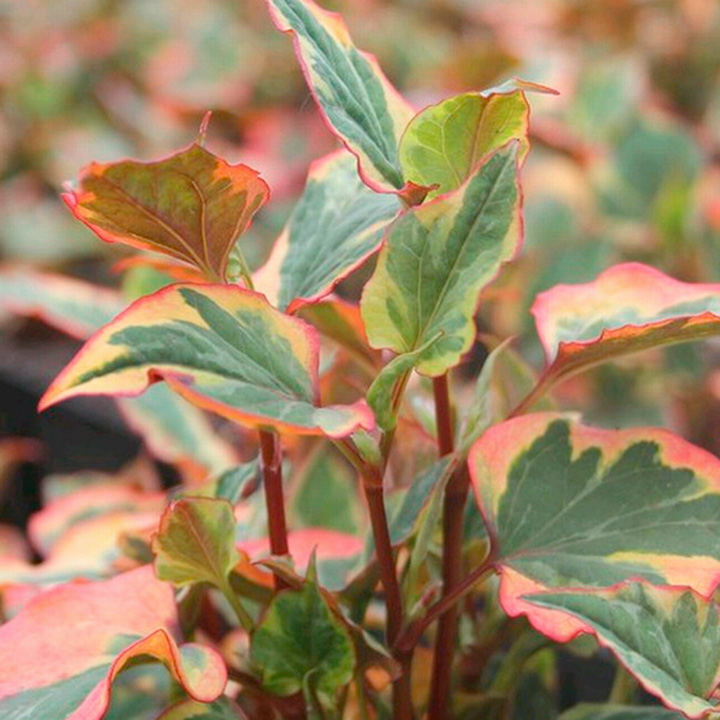 This very popular, brightly coloured plant has red, yellow and green scented leaves. The dense yellow flower spikes have 4 white bracts at the base, making them look like single white flowers. Flowers May-September. Height 20-50cm. Medium growing. Depth 10cm. 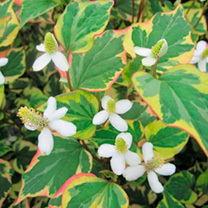 Availalbe in two sizes: 1 x 1 Litre Potted Plant or Pack of 3 supplied in 9cm pots. Prefers full sun or partial shade. CARE - Little maintenance is required. Trim to tidy as required after foliage has died back in autumn.